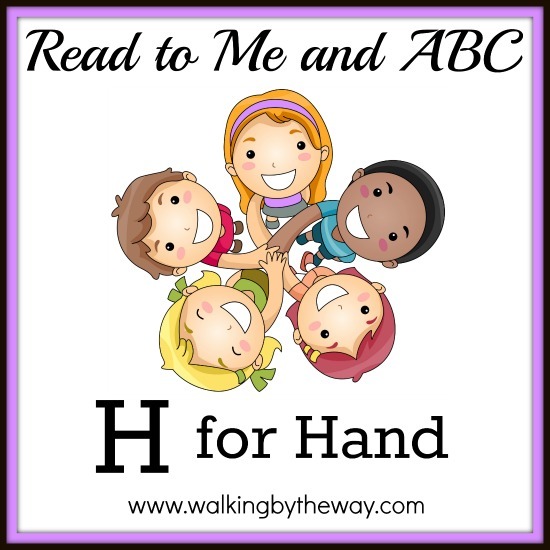 Our book of the week was Hand, Hand, Fingers, Thumb by Al Perkins. Alphabet Art- Horrible Hairy H! 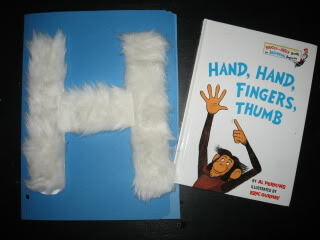 Fur (I found this at Hobby Lobby); cut into three strips to fit the H.
Let your student figure out which piece goes where on the H. Add glue to the H and pat down the fur. 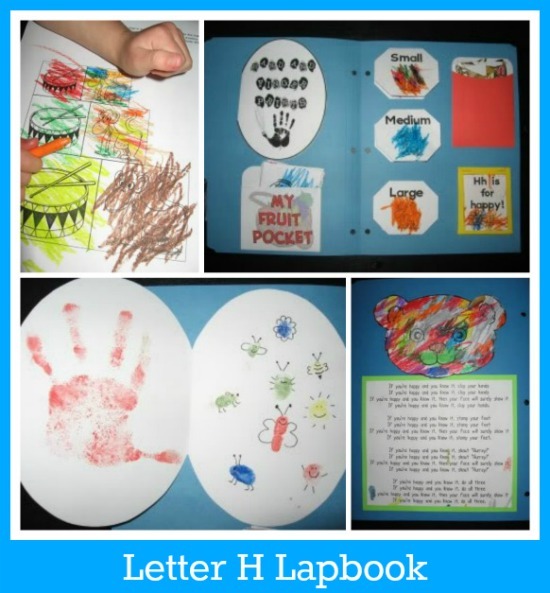 I used the lessons and lapbook from Homeschool Share. I also used a few pieces from the H portion of the Alphabet Notebook. We did a few fall hand arts because we completed this letter in October. 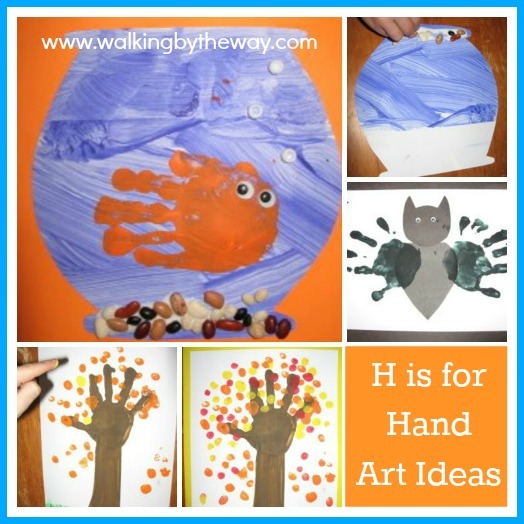 You can search for various hand art projects to meet your seasonal need. The fish would work anytime! Directions for fish bowl: Cut out a fishbowl shape. Paint it blue. Let it dry. Add a hand print in a contrasing color (yellow, orange, etc.). Let it dry. Add google eyes. Add beans for aquarium rocks and white pony beads for bubbles. Love the hairy hand! 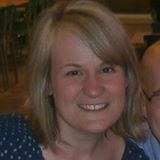 So glad to see that you are posting again! What great ideas! I was a child development major and I love this stuff!! You’ve given so many creative ideas that anyone can do and kids will fully enjoy. These are wonderful ideas. Thank you for sharing. Does anyone have a pattern for a canvas that creates a reindeer face with a childs foot and 2 hands? Seems like it has google eyes and a red puff for the nose. Anyone can help? Hi, where did you get fish bowl pattern?